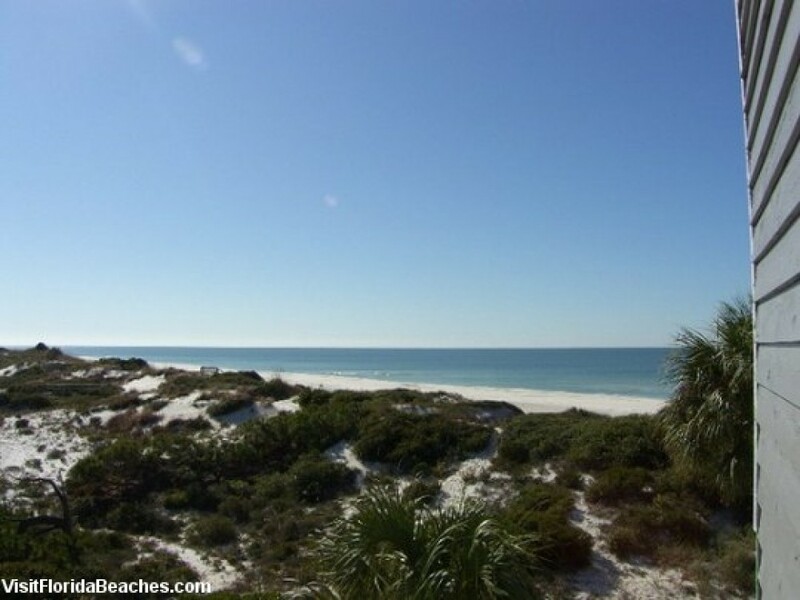 Barrier Dunes is a gulf front, gated community at the northern tip of Cape San Blas. It is located adjacent to the award-winning St. Joseph Bay Peninsula State Park. Within the gates of Barrier Dunes, there are 2 community pools, one interior and one gulf front with a clubhouse. There are also tennis courts, a playground, fishing ponds, and pet waste stations throughout for walking your dog. This particular 2 bedroom unit, which has an additional loft for sleeping, is in a gulf front building and is only 105 steps from the beaches of Cape San Blas. This is an evolving townhouse with many upgrades which have already taken place and others scheduled to come. Being pet friendly makes it convenient for those traveling with your dog. It is a great place to relax and unwind and enjoy some family time. Floor Plan: Ground level – covered, paved parking and outdoor shower. 1st level – gulf front living room with a furnished balcony which has a gulf view beyond the natural vegetation; and a TV, VCR, DVD and Fireplace; kitchen, dining area and ½ bath. 2nd level – Bedroom 1-queen bed, full bath with shower only, TV, DVD and gulf front balcony with view; laundry closet and Bedroom 2 – queen bed, full bath with shower/tub combo, TV and a small side deck with great gulf view. 3rd level – a loft accessed by stairs with 2 twin beds, a double bed, TV and VCR.